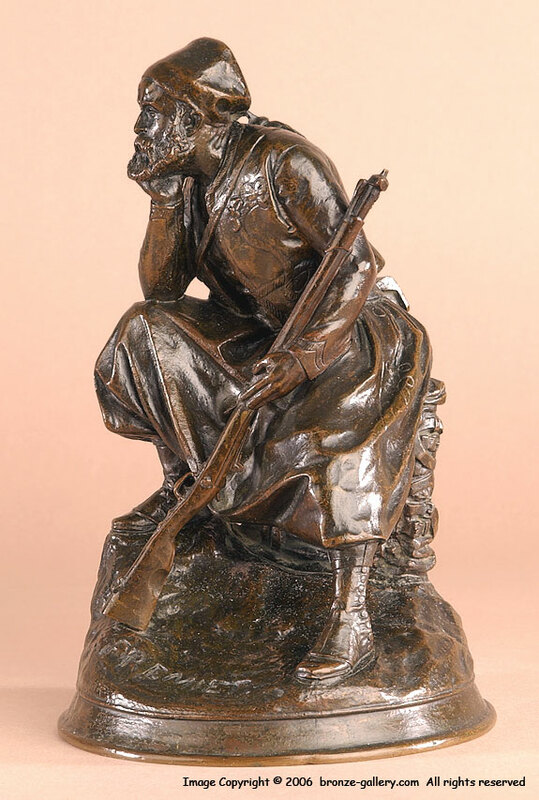 Along with his fine small Animalier works, Fremiet did several fine sculptures of soldiers and military figures. 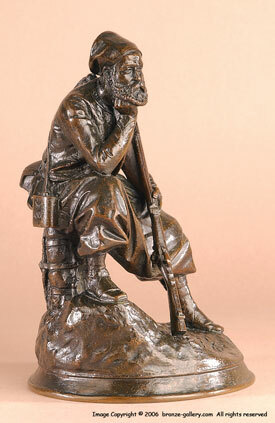 This bronze shows a French Zouave soldier from about 1850. The French Zouaves were first recruited from a Berber tribe in north Africa in 1831 as an elite corps. They were known for their distinctive and colorful dress with the red fez, braided blue jackets and loose red trousers. Fremiet has captured all the detail in those clothes as he portrays a Zouave soldier sitting at watch with his rifle, pack, and gear. This rare bronze has a rich dark brown patina and was cast in Fremiet's own foundry.